Visite dois dos lugares mais populares da Eslovênia em um dia com esta excursão de 13 horas por Ljubljana e Bled, partindo da Croácia. Com o traslado de ida e volta de Zagreb incluído, é fácil chegar ao centro da cidade de Liubliana, à Ponte Tripla do Rio Ljubljanica, ao Castelo de Bled e ao Lago Bled. Faça uma excursão a duas cidades com um guia, e, em seguida, use seu tempo livre para explorar no seu ritmo. Esta excursão de 13 horas em Ljubljana e Bled começa com o embarque em seu hotel em Zagreb, antes das 8h. Sua excursão começa às 8h em ponto. Seu passeio a Ljubljana leva cerca de uma hora e meia, portanto, relaxe na minivan com ar-condicionado. Assim que você chegar Ljubljana, capital da Eslovênia, seu guia o levará pelo centro da cidade antiga. Admire a arquitetura de antigos edifícios em estilo barroco e Art Nouveau. Veja onde os habitantes locais compram comida e faça uma parada no Rio Ljubljanica para ver a Ponte Tripla. Depois disso, seu guia lhe dá tempo andar pela cidade no seu ritmo. Agora também é um excelente momento para almoçar (por conta do visitante). Sua próxima parada nesta excursão é Bled, uma cidade resort no sopé da cordilheira dos Alpes Julianos. 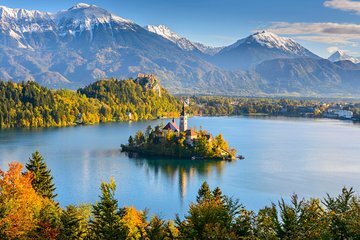 Aqui, seu guia leva você até o Lago Bled ao Castelo de Bled do seculo XI. O passeio de barco e entrada ao castelo não estão incluídos no preço da excursão (por conta do visitante). Em seguida, seu guia deixa você sozinho por uma hora para ir aonde você quiser em Bled. A excursão termina com um passeio de volta para o seu hotel em Zagreb. Chegue em Zagreb por volta das 9h. Really loved Ljubljana, the city is so green and clean and inviting. Similarly with Bled and the castles are really interesting and are a must see. This tour is great for those who are strapped for time and want to experience as much of Slovenia as they can in one day. The tour guide Antonio was really knowledgeable about the places and the history of both Croatia and Slovenia which made it really feel like I was getting to see the sights and understand some of the history behind them. Antonio, our guide, kept us entertained and informed all day. We started with Lake Bled and the church which were sensational. Ljubljana is a gorgeous place. It is clean, filled with music and a joy to experience! Dono was a great tour guide. We covered all types of topics on our drives. The city was very interesting in spite of the rain downpour!. Highly recommend it! Nice tour in a beautiful place...the only disadvantage is that the church tower in the lake was covered under reconstruction. The castle of Bled and its views are spectacular. 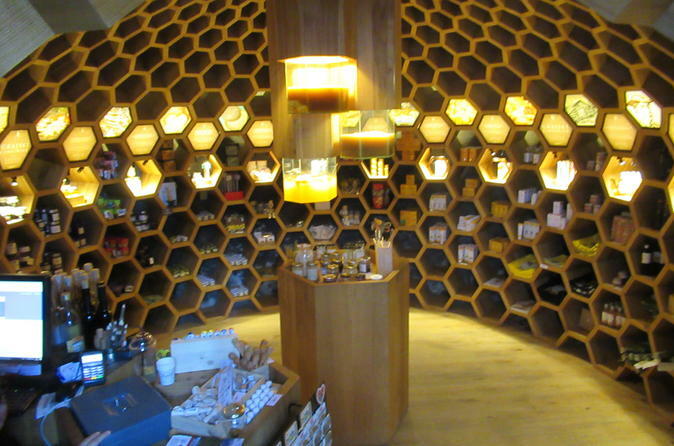 Inside that castle are magical romos like the hive where they sell honey, the forge and the winery. A great day out with our fantastic guides Antonio and Luca. We were entertained and educated around som3 history of Croatia and Slovenia. We had an amazing boat ride to Bled Island organised by our guides. Time at Bled Castle and a lovely tour around the city of Ljubljana. We had lunch at a recommended venue by our guides, delicious, quick and reasonably priced. I would definitely recommend this tour and our guides very highly. A long day, but a lot covered, beautiful scenery and a great day out. Antonio is amazing! He is knowledgeable and keeps feeding us with info and history! He is so enthusiastic and always give his smile until the end of the day. We are supposed to go to Ljubljana in the morning and Lake Bled in the afternoon. But he had swapped Ljubljana with Lake Bled because it was forecast raining in the afternoon. So, we can enjoy Lake Bled more! I appreciate that. However, due to the swapped, we had lunch at 17:00. My friend and I were starving. Maybe next time, they can pack sandwich/drop at somewhere to get something light to eat. Overall, we enjoyed the trip! It was fun! The tour guide Antonio Duric is knowledgeable and energetic. We went for a small group of 5 people and the organization was perfect. This is a must do, I highly recommend a day trip like this. Bled and Ljubljana are phenomenal.